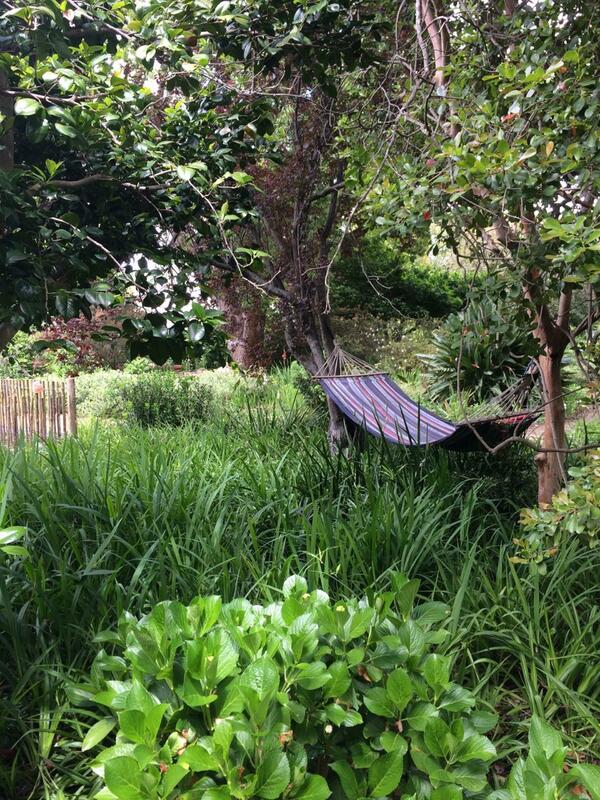 The Johnman Music Centre is surrounded by one of the last remaining Old Cape gardens in Stellenbosch. 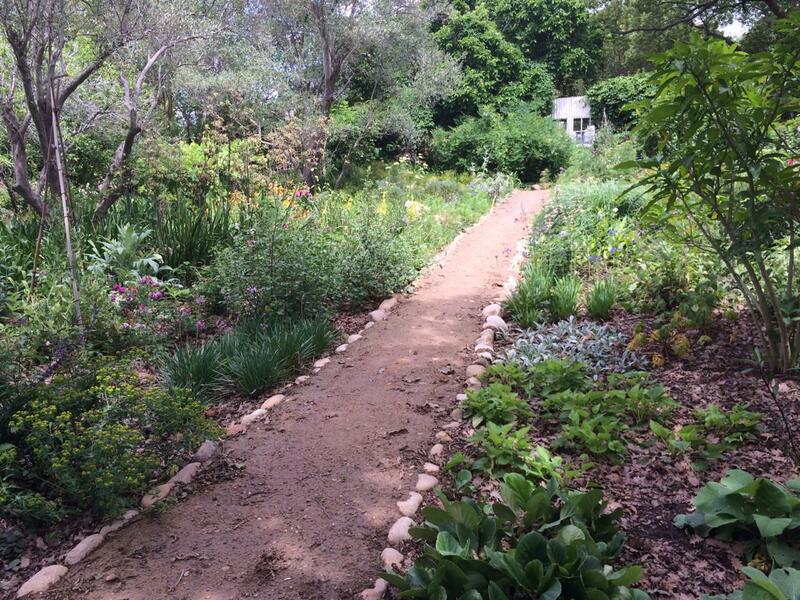 For the latest news on when and how to visit the Johnman Garden, please follow the Instagram account @johnmangardenstellenbosch. 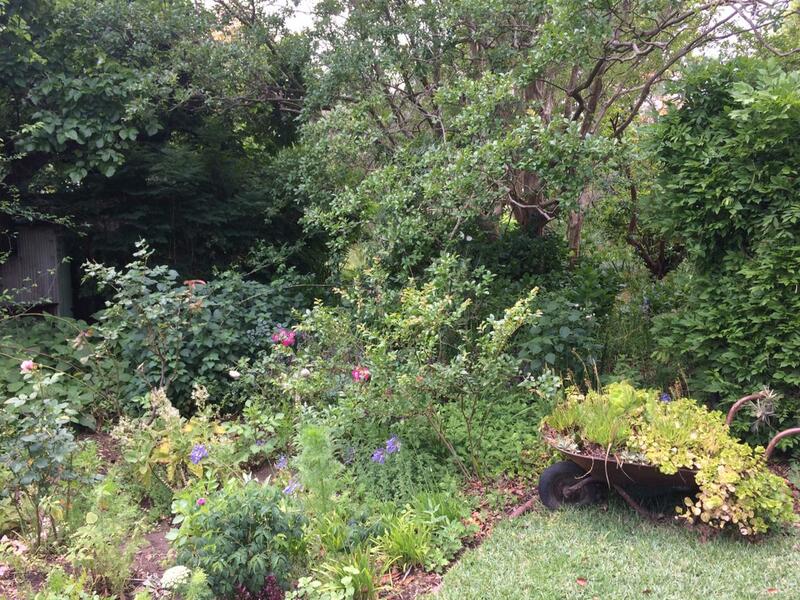 Guided garden tours are hosted by resident gardener Paula Raubenheimer, or ​horticulturist​ ​Ursula ​Schwerdtfeger and are usually scheduled for Tuesdays at 10:00, with visitors paying R50 for a tour. Bookings are essential on Instagram @johnmangardenstellenbosch, or on e-mail paula@bb-books.co.za, or info@johnmanmusiccentre.co.za​. 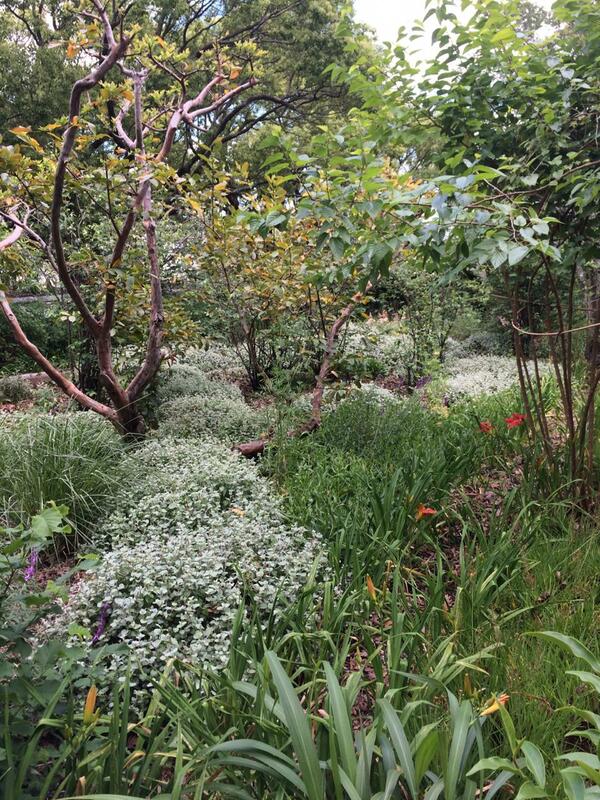 The large Old Cape garden at 8 Herte Street was begun and cared for by the two aunts of Dorothy. 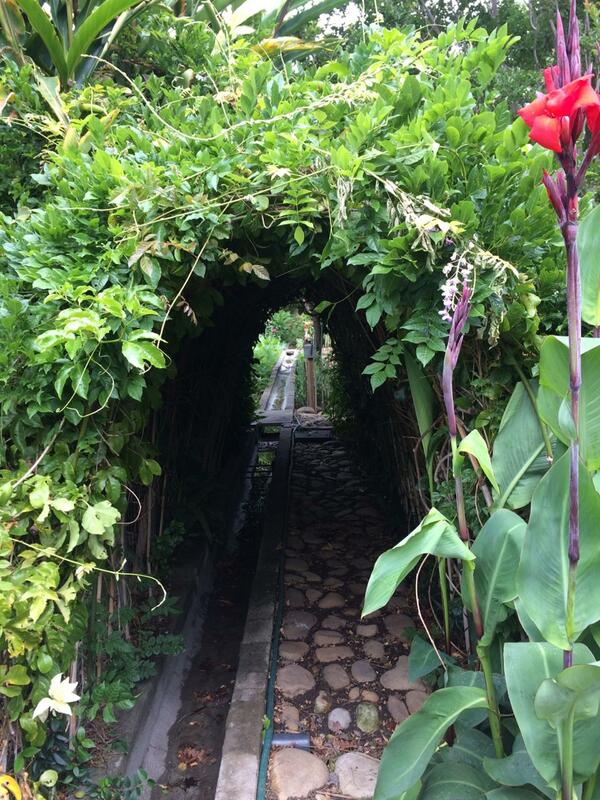 It became one of Dorothy and Charles’s passions to further nurture the garden when they became owners of Camido. 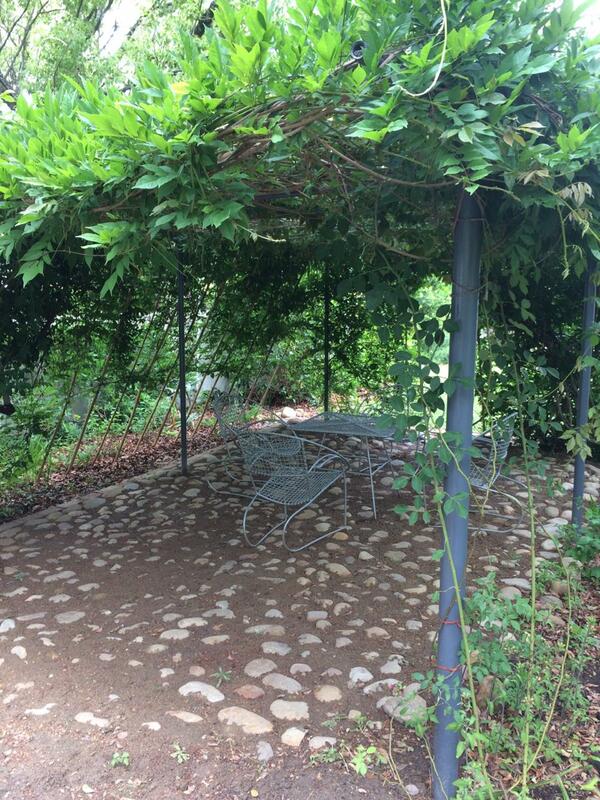 Dorothy enjoyed the natural character of antique style roses climbing through trees and archways, and saw the garden as a celebration of the senses. The garden also provided her with material for flower arrangements at local music concerts. 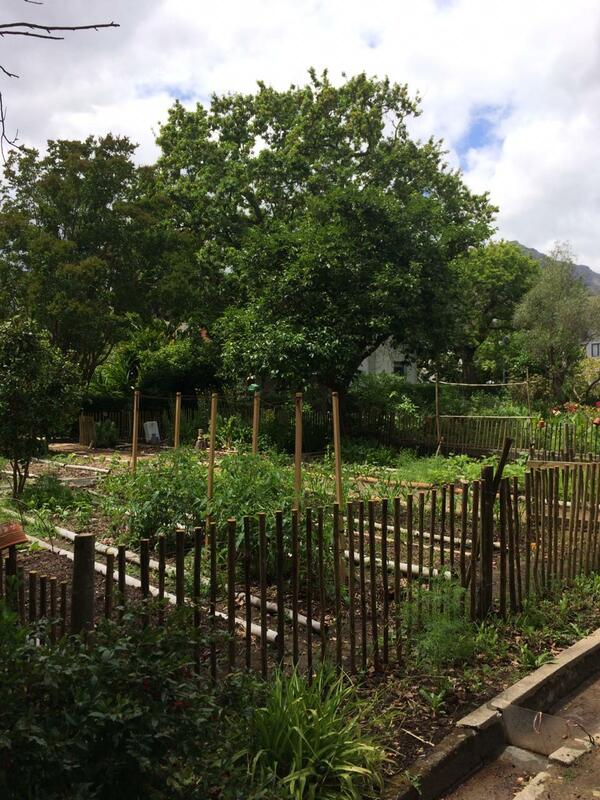 She expressed the wish that the garden be used for the holistic education of the young in Stellenbosch. Old Cape gardens situated along the water sources in Stellenbosch were once a common feature in Stellenbosch. These gardens, with bountiful fruit orchards, vegetable patches, and paths, have now mostly been replaced by office and apartment blocks and parking lots, or their gardens modernised. 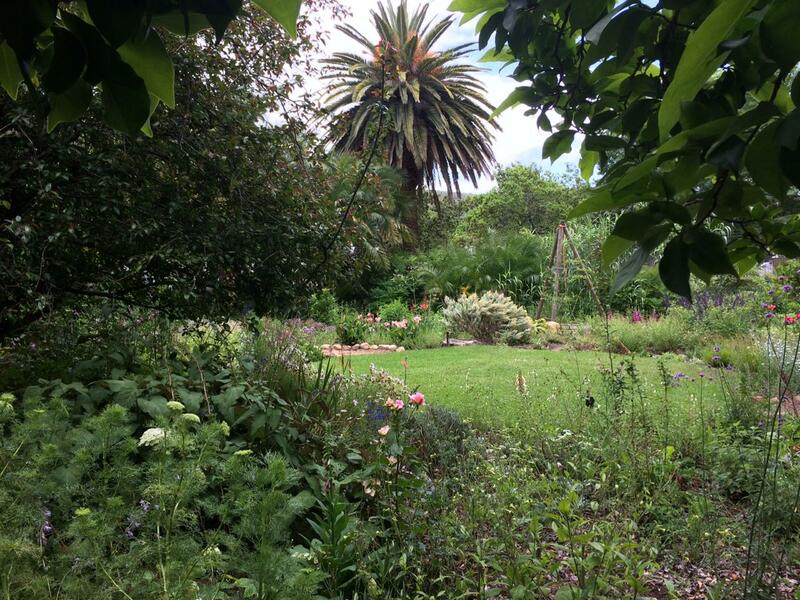 Camido is one of the last remaining Old Cape gardens. During the summer months, the Camido garden is irrigated through the flood system known as the leiwater . A system of furrows, and hatchets, all connected to once-a-week water supplies through the Millstream, demand day-long attention by the gardeners at Herte Street—a task that was also kept up by past generations of gardeners. At Herte Street no 8, old pear trees, guavas, persimmon, apple, plum, citrus, mulberry and many other kinds of fruit trees have grown to maturity and support rambling roses and other climbing plants like jasmine and wisteria. Benches are scattered, and pathways meander between flower beds, vegetable patches, and leafy areas, in addition to two grassed areas: the plant amphitheatre, and the scented lawn. 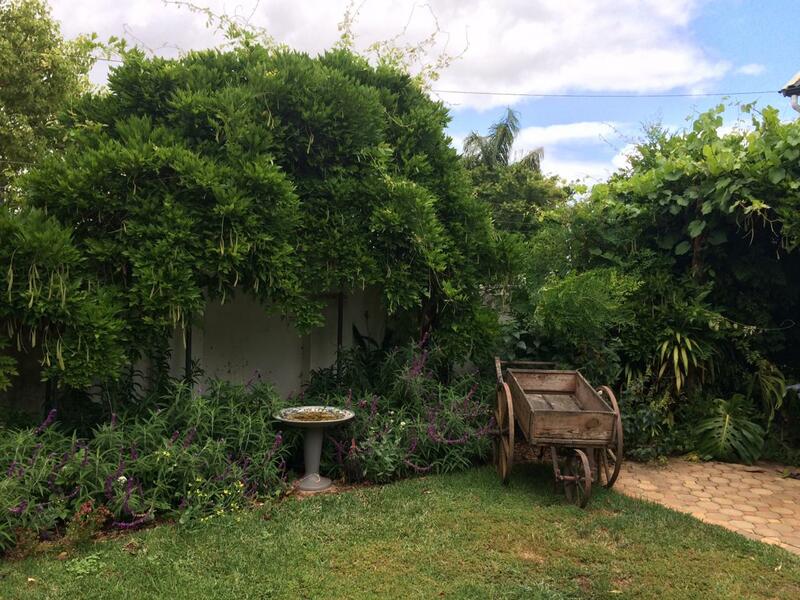 A hand-operated well has been dug in the north-western corner of the garden, producing not only water, but also stone cairns that have been sculpted into delightful organic installations near the wisteria patio. 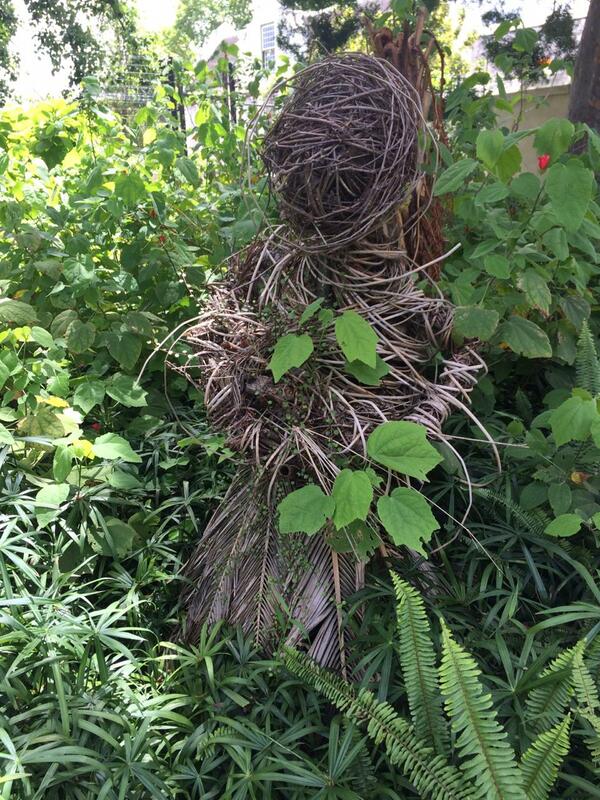 Other installations that wait to surprise the visitor are the wisteria hut, the palm leaf lady and the wooden sculpture, as well as mosaic bird baths. 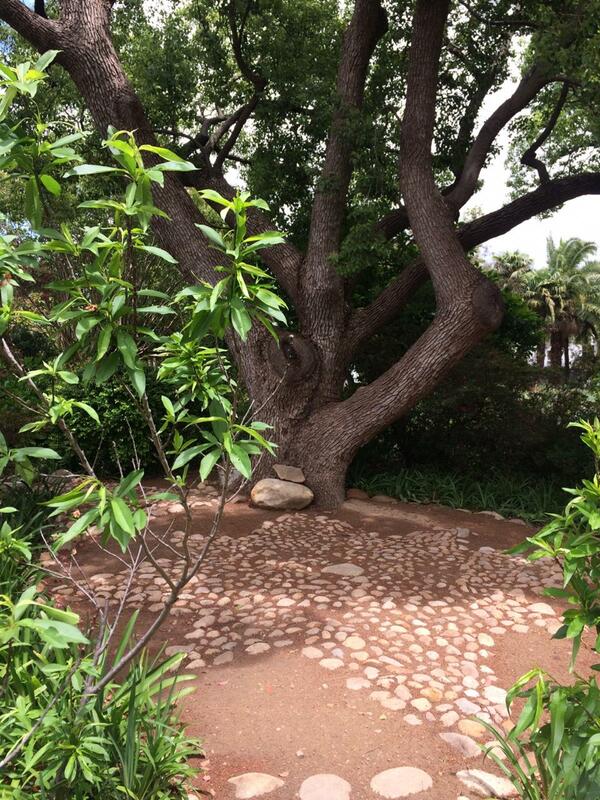 The Instagram account @johnmangardenstellenbosch contains a much wider selection of photographs of the Johnman garden. It is worth a visit!